Film, television and theatre actress known for her roles in Brigade 099, Juan y Eva, and Refugiado. In 2017, she became one of the stars of the show Fanny La Fan. She has been acting since she was 13, and studied under actor Raúl Serrano. Her first on-screen role was on the TV series Nueve Lunas, alongside Érica Rivas and Cecilia Roth. She's the daughter of actor Ricardo Díaz Mourelle and astrologer María Núñez. 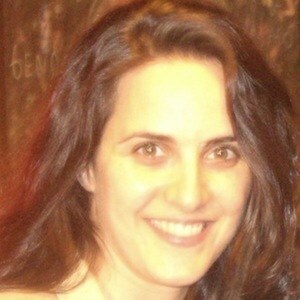 She married Brent Federighi in 2011. Together they have one child. She is close friends with actress Gloria Carra.